Wearing your scars with pride can be hard to do when they’re on your face. And the fear of facial scars is never as real as when you have or had acne-prone skin. While the acne might die down, the marks can remain and using BB cream and foundation to even out your skin tone becomes a daily routine. But what if I told you that you could fade these scars to flaunt flawless skin without any makeup? With acne and the scars it leaves behind, being as widespread an issue as it is, there are many treatments, natural, surgical, and chemical, available to help restore your skin and its health. Following, I’ve put together, a list of 6 remedies that help remove scars from your face. But first, let’s look at what causes facial scars to understand the issue better. Scarring can also occur due to rashes or conditions such as chicken pox. If you have scars on your face, keep reading to find out how you can make them vanish with some simple remedies. Cut an aloe vera leaf and scoop out the gel. Blend the gel until it reaches a smooth consistency. Alternatively, you can use ready-made pure aloe vera gel. Wash your face and pat dry with a towel. Liberally apply the aloe vera gel onto your scars. Let the aloe vera gel dry and sink into your skin. 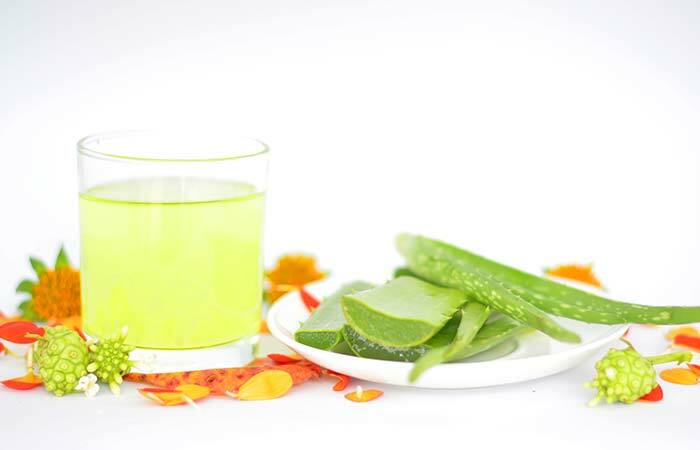 Aloe vera gel helps strengthen the collagen structure within the scar tissue. When used on healing wounds, it will help boost the healing process while curbing the formation of scars. Its glycoprotein content helps stop pain and inflammation while promoting skin repair and growth. Take equal portions of apple cider vinegar and water and mix the two ingredients together. Wash your face and pat it dry with a towel. Saturate a cotton pad with the diluted ACV and start dabbing it onto your skin. Once all of the problem areas are covered, let the ACV dry for about 10 minutes. Using apple cider vinegar is a great way to fade acne scars. 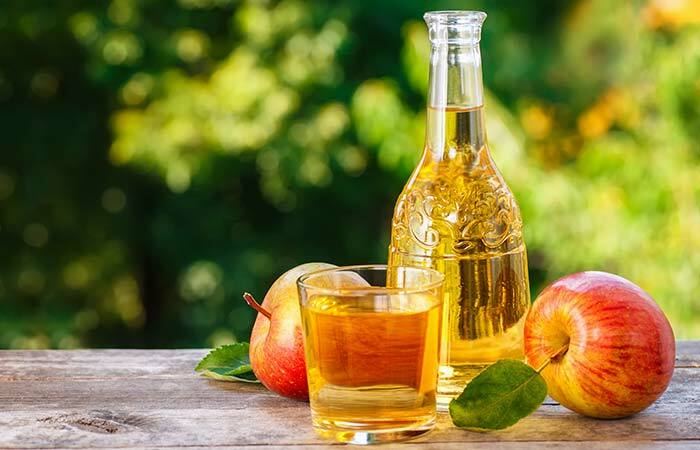 Apple cider vinegar has strong astringent properties which dry out your skin. This helps it scrape off all the dirt, dust, and dead skin cells on your skin. It also contains lactic and malic acids which help exfoliate and soften the skin, reducing redness. These acids also help restore skin with indented scars. Heat the oil for a couple of seconds until it is slightly warm. Massage the oil onto your face for a couple of minutes. Do not wash off the oil. 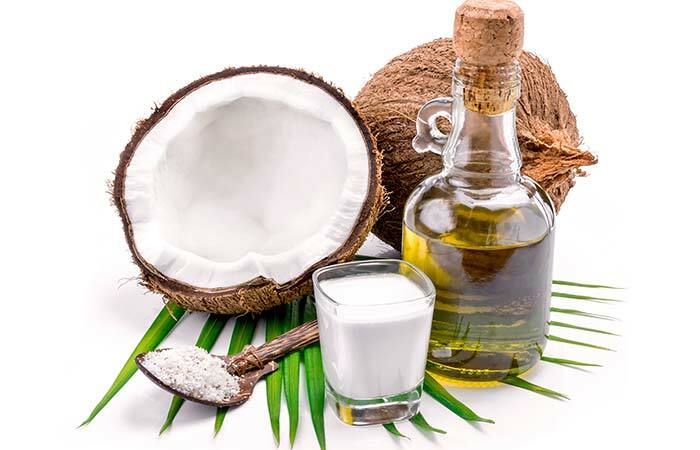 Coconut oil has excellent analgesic and anti-inflammatory properties. It helps reduce skin infection and treats issues such as psoriasis, dermatitis, eczema, and acne. It also helps reduce the formation of scar tissue during the healing process and helps fade scars to a certain extent after they have healed. Wash your skin and pat it dry with a towel. Place a hot towel on your face for a couple of minutes to open up your pores. Remove the towel and apply the honey onto your face. Leave it on for about 10 minutes and rinse it off with water. Pat your skin dry with a towel. 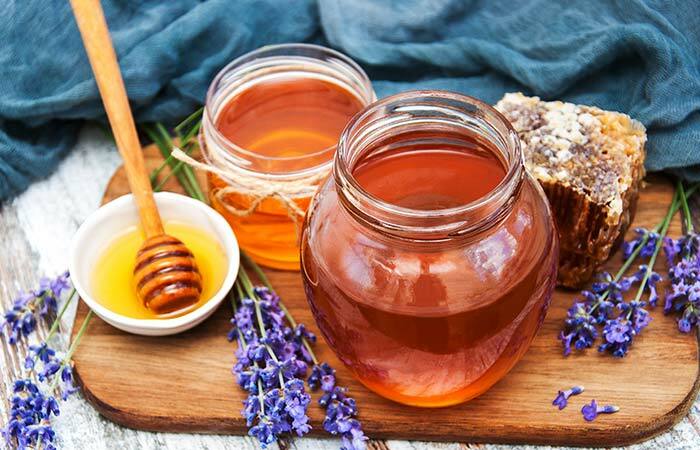 Honey is a humectant and antioxidant which helps seal moisture and prevent skin damage. It also has antibacterial properties which make it an effective ingredient to use when dealing with acne and acne scars. It is also a bleaching agent that will help lighten scars. Squeeze out a teaspoon of lemon juice and set it aside. Saturate a cotton pad with the lemon juice and dab its juice onto the affected areas. Wash off the lemon juice with a mild cleanser. The vitamin C in lemon helps boost the production of collagen which aids skin repair while reducing the appearance of a scar. It also helps remove dead skincells while improving skin elasticity. 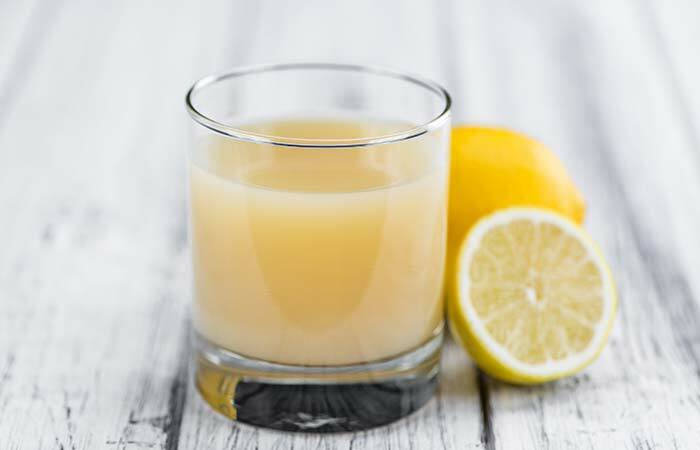 Lemon juice is a natural bleaching agent which can even out your skin tone. 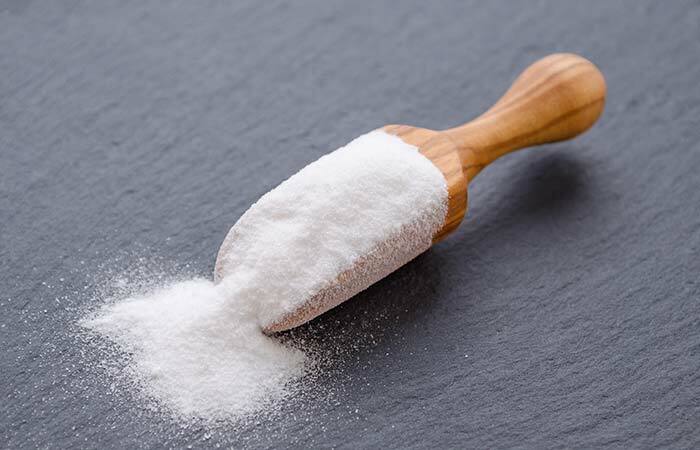 Mix the baking soda and water to get a smooth paste. Apply the baking soda mixture onto your face and massage for 2-3 minutes. Leave the paste on for another 5 minutes. Baking soda is one of the best ingredients you could use to get rid of acne scars. It has excellent exfoliating and anti-inflammatory properties which help ease irritation while banishing dead skin and dirt. It helps reveal the younger layers of your skin, fading the appearance of scars. However, exercise caution with this ingredient if you have sensitive skin. Combine the ingredients to get a smooth blend. Liberally apply the tea tree and olive oil blend onto your skin. Cover your face with a hot towel. Wait for 10 minutes and then gently rub the oil off. Tea tree oil has wonderful healing properties which help reduce the appearance of scars. It is also a great ingredient for fighting acne and works beautifully when it comes to healing hypertrophic scars. This may be owed to its strong antibacterial, antiseptic, antifungal, and antiviral properties. 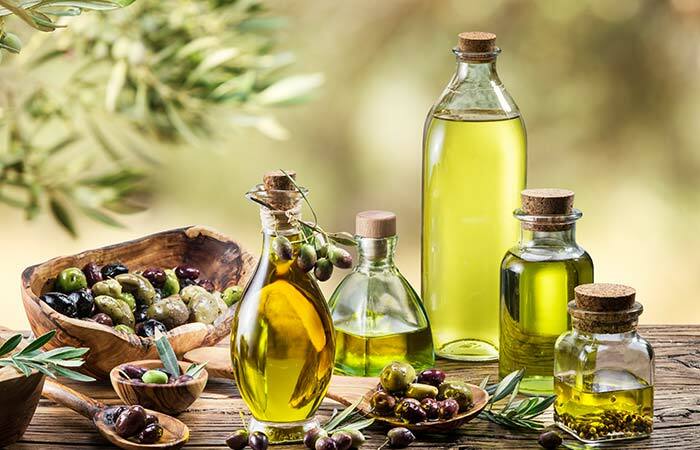 In combination with olive oil, it helps soften your skin to help repair and nourish it. Note: These remedies will fade and reduce the appearance of scars. However, they might not be able to completely get rid of them. There are several cosmetic procedures that remove scars. These include dermabrasion which is a process of scraping off the scarred skin surgically and laser resurfacing which helps remove scars, layer by layer. You could also opt for chemical peeling which helps remove the damaged layers of your skin to reveal the healthy younger layers. There are also some over-the-counter gels and creams which help fade facial scars.